We’ve talked about the importance of an event itinerary, today we’re talking about how to create the itinerary. Listen to Julia talk about how she creates itineraries for our events. An event itinerary is the key to your event’s success on site. 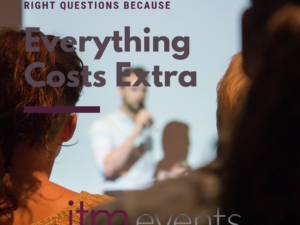 You planned the event so you are certain you know everything but I can assure that once you arrive on site and there are questions from vendors, suppliers and the client you will not only struggle to remember minute details you will quickly realize you can’t be everywhere all the time helping everyone. So, having an itinerary not only helps trigger your memory, it also allows you to delegate. If done correctly, your itinerary will have every single detail of your event…right down to the type of fold your napkin is supposed to have for your off-site dinner. 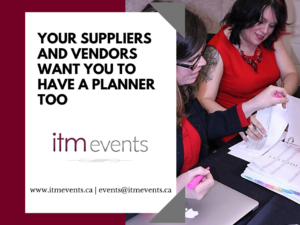 To build your event itinerary begin by logging in every session, speaker and activity based on your event agenda. From there work backwards from all key points and detail out every step that will get you to that key point (delivery times, arrival times, load in time, receiving deliveries, etc). Once you have detailed out every step you can think of go back and fill in every step with as much detail as possible. Who is the supplier related to that step? Which staff member is responsible for that step? What AV requirements are needed? 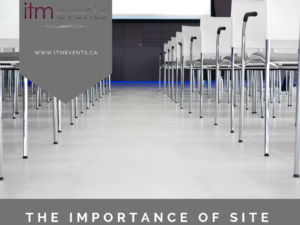 Your event itinerary should be broken down to the minute and include every possible detail. No detail is too small! And finally, when you think your itinerary is complete, go over it one more time with a fine tooth comb. There is always something more to be added. I like to print out the itinerary and go over it with a red pen. I sit in a quiet room and turn every ounce of attention to the itinerary. In my mind I walk through the event and picture each step of the day that I have detailed out and try to find any holes, any details I may have missed or forgotten. I also include any questions I might have now that I am reviewing the itinerary again. Once I am certain the itinerary is at about 95% complete and perfect, I send it to all the suppliers, vendors, the client and anyone else involved in the project. I ask them to review their component of the event and to provide any comments, questions or changes. The last step is addressing any details from those I consulted. I update the itinerary one last time, send it out to everyone as the final version (reminding them of course that an itinerary is a living document and things may change between now and event day) and then I print off several copies to have handy on site. I like to have the draft done about a month to 3 weeks before the event. I like to have it out to others for comment at least 2 weeks before and the final itinerary goes out to everyone no less than 1 week before the event. Julia O’Grady has big vision, fresh ideas and a proven track record in the events industry. She and her team work hard to exceed client expectations and push ITM Events to achieve greater heights. 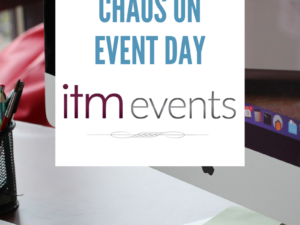 A driven entrepreneur, Julia also manages the business side of ITM Events including human resources, finances, marketing and writing grant and sales proposals. In taking a high level approach to event management, Julia is able to visualize a project from inception to successful execution. She attracts valuable sponsors by offering meaningful opportunities to engage with participants. Julia uses her keen analytical mind to create incredible events that maximize the available budget. When Julia isn’t planning unforgettable events, she loves travelling the world with her family, staying active, and enjoying fine food and martinis.